Cos-d’Estournel's yields are down in 2018, but quality is superb. I typically start my en primeur tastings in St.-Estèphe, on Bordeaux's Left Bank, at the northern end of the Médoc. From there I work down through Pauillac, St.-Julien, Margaux and Pessac before heading over to the Right Bank for Pomerol and St.-Emilion. I spend a day in each appellation. The path is for driving and scheduling logistics, as well as for mental logistics—seeing the vintage unfurl by terroir, from the later-ripening Cabernet Sauvignon–heavy blends to the earlier-ripening, softer textured Merlot-driven cuvées. Cos-d'Estournel has fashioned an impressive 2018, one that rivals its 2016, an exceptional vintage for St.-Estèphe in general. It's a vintage of big contrasts, says Dominique Arangoits, who has managed the cellar here since owner Michel Reybier purchased the estate in 2000. "A very humid start, late budbreak and rain until the end of June," Arangoits says. "We were worried for the mildew because of the warmth, but at the same time, the warmth saved the flowering, so it was good and bad. After all that water, we needed drought, and we got exactly what we dreamed for—record drought from July through harvest, so another extreme. In the end, we got Merlot that was like Cabernet with its tension, and Cabernet that was like Merlot with its sweet fruit and energy." The 2018 Cos-d'Estournel St.-Estèphe grand vin is off to a rocking start, dense yet polished, long and vibrant, rippling with cassis and plum fruit carried by well-embedded acidity. While the crop here was low—just 2.2 tons per acre, due not only to the mildew issues but also a windy September that reduced the juice in the already-small berries—the quality is very high. 65 percent of the crop made it into the grand vin, when typically the selection is closer to 50 percent. 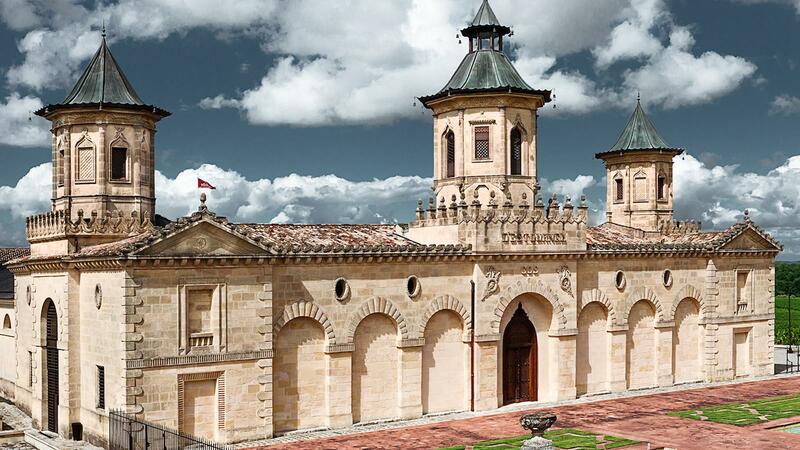 Calon-Ségur has finished a $34 million renovation of its cellar and château, undertaken after the estate's new owners took over in 2012. Director Laurent Dufau has improved quality here while overseeing a replanting program that will makeover the entire vineyard in a 12-year span. In so doing, only about 54 of the 136 acres are considered grand vin–capable right now (that will change after the replanting), so smaller crops such as 2018's are a strain on the bottom line. But qualitatively, the 2018 Calon-Ségur St.-Estèphe grand vin easily matches its classic-rated 2016, with the vineyard's high clay percentage buttressing the vines against the summer drought. The wine is intense, with both red and black currant preserve flavors that are racy and long, scored with tobacco and singed wood notes. A savory note leaves a mouthwatering impression at the end. "With the degree of potential alcohol we had, we had to be precise near the end of the ferments not to extract too much," says Dufau. "So we stopped a little sooner and worked with more press wine for the blend, as the quality was superb." The wine checks in at 14.9 percent, a bit lofty for Calon, but it wears it seamlessly, without a blip of heat. "It was a warm and sunny summer, so the power of the fruit is there," Dufau esplains. "But we think, because the clay allowed the vines to ripen slowly and steadily, without a blockage, the balance is there as well, and you don't feel the alcohol at all. It is a sunny vintage that feels fresh."